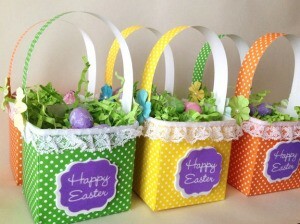 Make miniature treat baskets with pin dot cardstock papers and embellishments to celebrate spring or Easter. 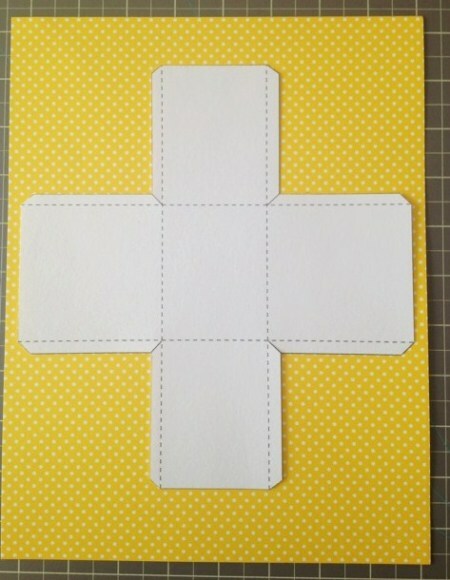 Primary Pin Dot cardstock papers, Easter grass, paper flowers, lace are available at Michaels. Click Here to download the Easter Treat Basket Template in PDF format. 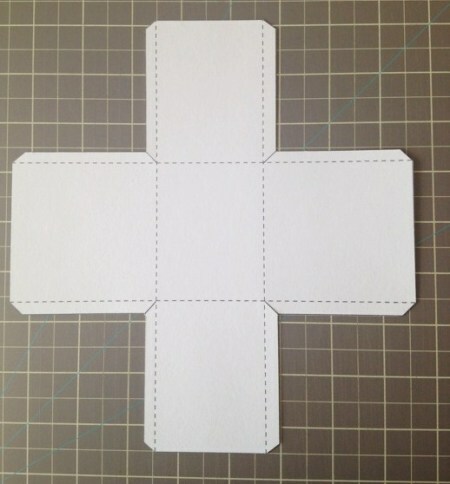 Download and print the template and cut it out along the solid lines. 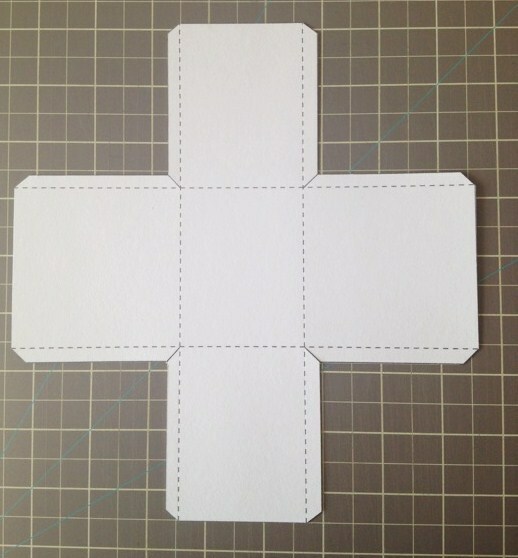 Trace template onto patterned paper, and then trim. 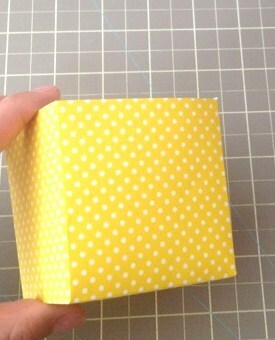 Fold the box flaps up and join the tabs of each corner together with a glue stick. 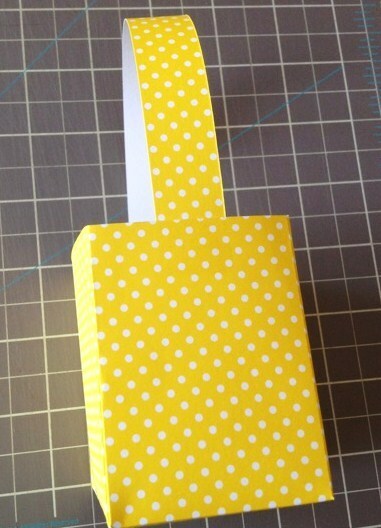 Cut 3/4 x 8 1/2 inch strip of paper for the handle. And attach it to the basket with a glue stick. 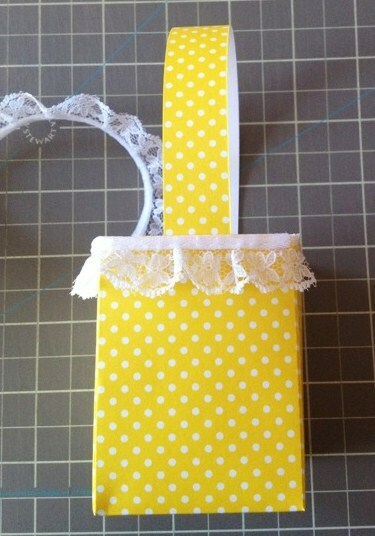 Or punch hole on each side of the basket and attach it with brads. 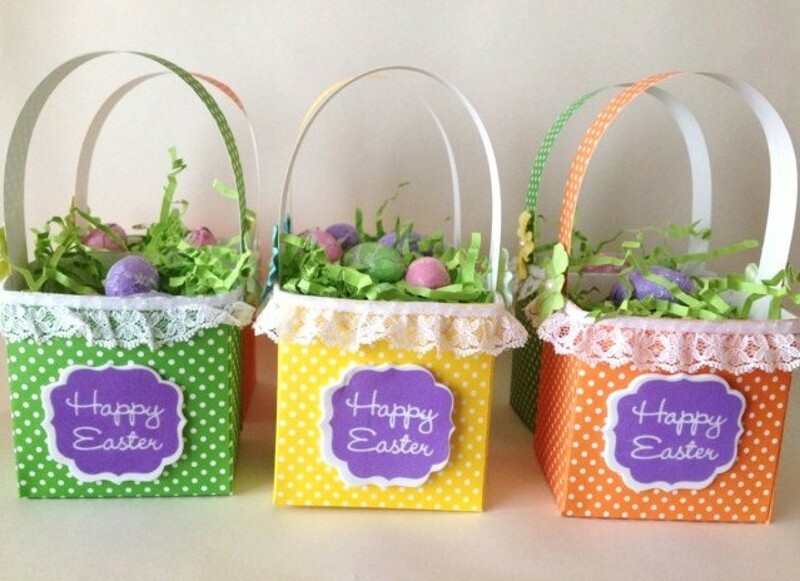 Embellish the basket with lace, paper flowers, and sticker.